Six pieces of main play music were composed for the original Sea Wolf video redemption game, first released by Coastal Amusements in 2008. Full version of the leader board music for the Arizona-based course in Golden Tee’s 30th Anniversary Edition. Full version of the leader board music for the Texas-based course in Golden Tee’s 30th Anniversary Edition. Full version of the leader board music for the Northern Spanish Coast-based course in Golden Tee’s 30th Anniversary Edition. Full version of the leader board music for the Wales-based course in Golden Tee’s 30th Anniversary Edition. 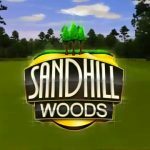 Full version of the leader board music for the North Carolina-based course in Golden Tee’s 30th Anniversary Edition. Includes tunes from both the game and related marketing videos. Dan Peters recorded guitar tracks for much of the music heard here. Completed in 1996, Big Bang Bar was never released by Capcom Coin-Op, Inc. About a dozen prototypes exist. A series of 191 reproductions were manufactured by Illinois Pinball Company and released to collectors in 2006. Pinball Magic was my very first professional game sound design project. The game was manufactured in 1995. The four games represented here are Reaktor, Spinazoid, Off Road Madness and Sega Gameshow.